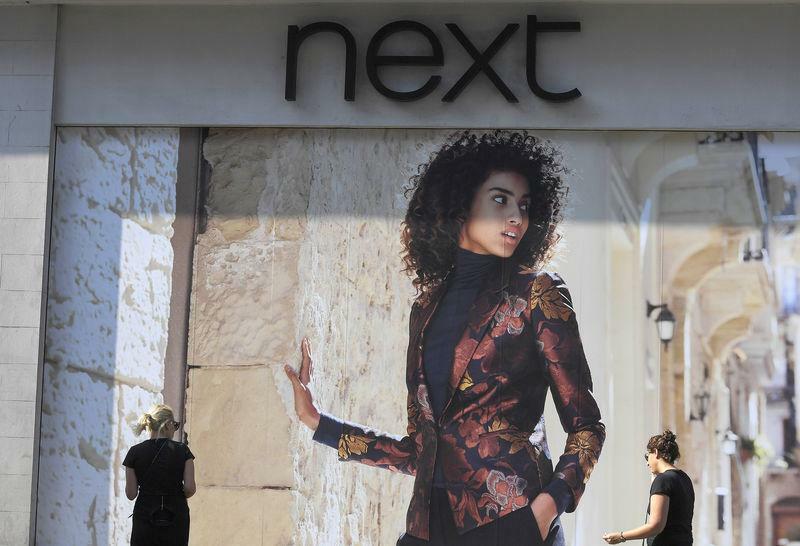 LONDON (Reuters) - British clothing chain Next forecast a fourth straight fall in annual profit on Thursday as it grapples with the sector's structural shift from physical stores to online. Shares in Next, up 9 percent year-on-year before Thursday's update, were down 1.5 percent at 1114 GMT. "Next ... continues to manage a difficult channel shift dynamic as well as could be expected," Peel Hunt analysts said. Next said there is no evidence that uncertainty over Britain's exit from the European Union is affecting consumer behaviour. With only eight days until Britain is due to leave the EU, the government has yet to agree a withdrawal agreement or an extension, meaning the risk of a disorderly "no-deal" Brexit cannot be ruled out. "Our feeling is that there is a level of fatigue around the subject that leaves consumers numb to the daily swings in the political debate," the company said. Wolfson said he believed that consumer behaviour in Next's sector will be changed materially only if Brexit, or continued uncertainty around it, begins to affect employment, prices or earnings. "At the moment, the uncertainty over Brexit doesn’t appear to be having a negative effect on employment and wages and ultimately those are the things that drive the consumer economy," he told Reuters. Wolfson, a prominent "Leave" supporter and Conservative peer in the upper house of Britain's parliament, said that even with a no-deal Brexit the government's proposed tariff schedule means Next's prices would actually come down by about 1 percent.